What is a 'Recurring Auto-Payment' invoice? 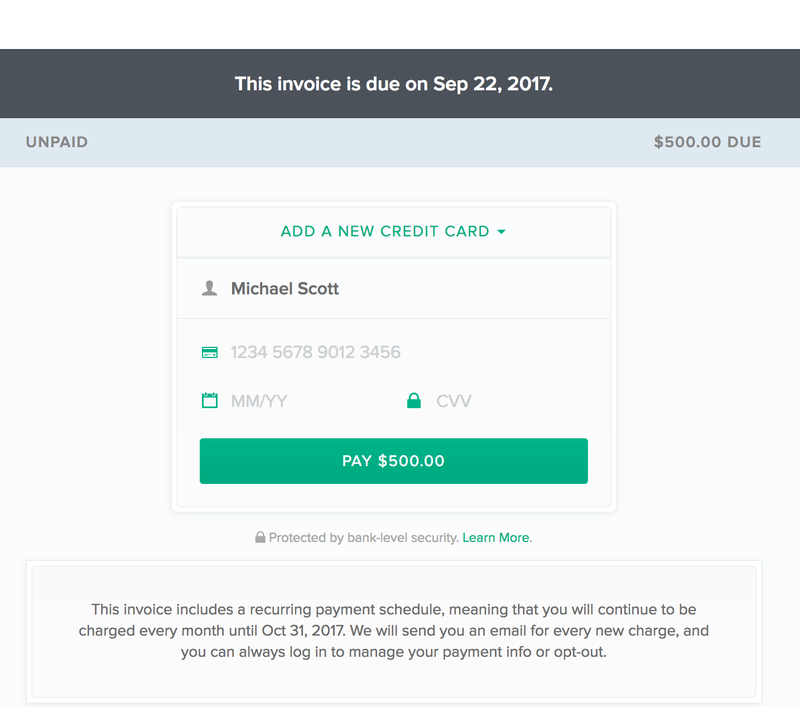 How recurring auto payment invoices work, and to save clients' payment info is saved and debited them automatically.  Note: Currently Recurring Auto-Payment invoices only support payment via credit / debit card on Stripe. Recurring: you fill out an invoice and create a schedule (e.g., send weekly starting tomorrow and stop in 10 weeks). 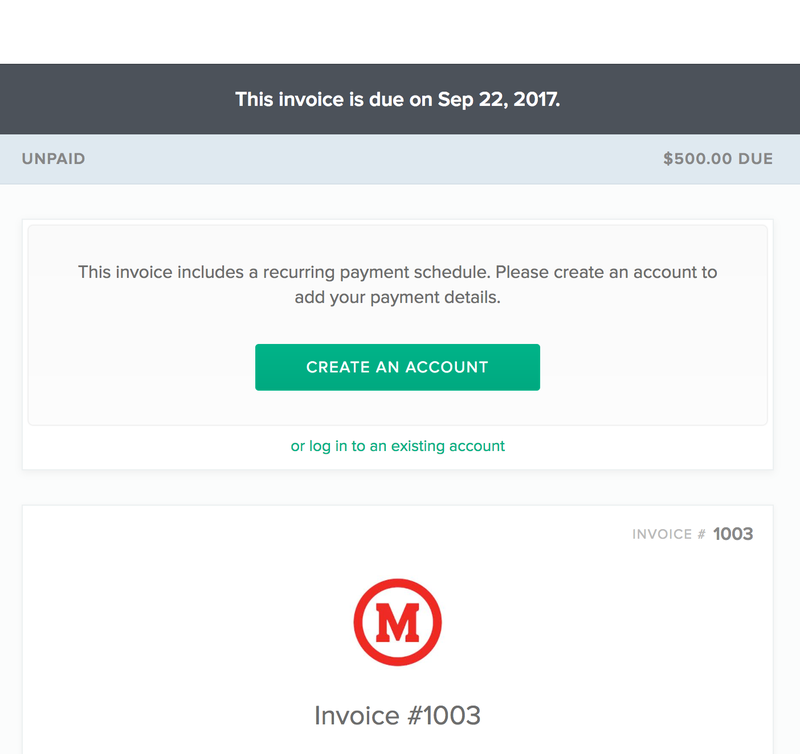 Bonsai will automatically send these invoices to the client on those dates. On each invoice the client will need to manually select which how to pay it and then click 'Pay'. This is perfect if you're working on a long term project with consistent milestones. 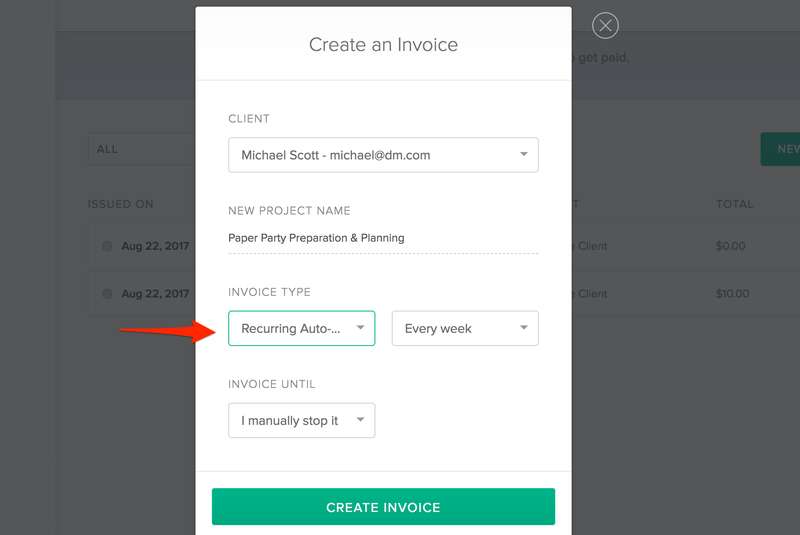 Recurring Auto-Payment: these are similar to 'Recurring' invoices, in that you fill out an invoice, create a schedule, and Bonsai will automatically send the invoices to your client. However, with 'Recurring Auto-Payment', your client will have the option to save their payment info and have it automatically debited every time a payment is due. Fill out the invoice line items. Be aware that once the client enters their payment info and begins auto-payment, any change you make to the invoice items and total amount will require the client to confirm their auto-payment again. When you send the invoice to the client, they will be required to create a free Bonsai account to use Recurring Auto-Payment. Because their credit card details will be stored and re-used, this is necessary to ensure the security of their payments.